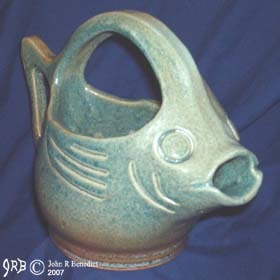 The "Nautical Arts JRB" website has become "Benedict Arts" to express an increase in the diversity of artwork that is being done by the artisans John R. Benedict and Teresa M. Nebeker. 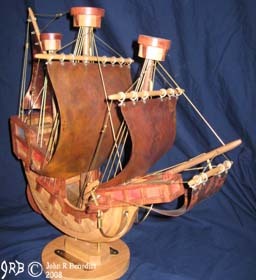 John and Teresa are now involved in oil painting, ceramic, wood (ship), and lapidary arts. Each are detailed on this website, except lapidary art. The lapidary arts will be shown in the near future. The website is also now a memorial site for John's brother, Jim Benedict, who passed away in 2009. Jim's art form was black and white infrared photography. 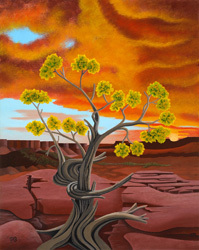 The "Benedict Arts" website displays both wood and ceramic art forms, graphic oil paintings (including fine art environmental posters), and black and white photograhy. Within each of these art displays, one can see a dedication to the design of unique, limited addition artworks. All art products are individually handcrafted by the artists. Because handcrafted work is accomplished only by the artists, the availability of such products can be limited not only by necessity, but by choice. This website does not reflect all current inventories held by the artists. The artists attempt to sell all art forms through retail stores and/or art/craft shows. The "Benedict Arts" website is currently serving primarily as an information site for the types of products being offered by John R. Benedict and Teresa Nebeker. If art pieces are presently in stores, the artists can direct you to the store in question. You can contact the artists by Email or phone to see what is available at anytime from the various types of products.